The SCORPION® 2 Profiling System has become a standard in the baking industry providing a complete measurement system to capture the four key baking parameters: Temperature, Air Velocity, Heat Flux and Humidity. 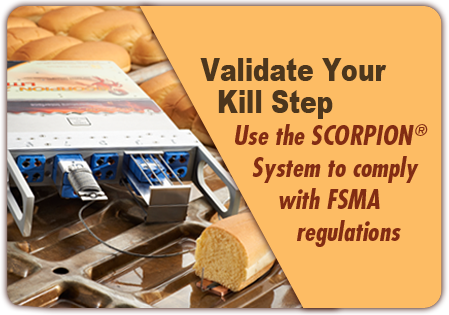 With the SCORPION® 2 System, you can measure and analyze baking, drying and cooling thermal processes. The SCORPION® 2 enables you to monitor real-time in-process conditions giving you the critical information you need to correct problems and maintain optimum process conditions.